For other uses, see Gilan (disambiguation). 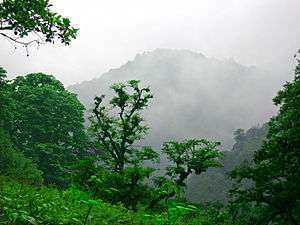 Gilan Province (Persian: اُستان گیلان‎‎, Ostān-e Gīlān, also Latinized as Guilan) is one of the 31 provinces of Iran. It lies along the Caspian Sea, in Iran's Region 3, west of the province of Mazandaran, east of the province of Ardabil, and north of the provinces of Zanjan and Qazvin. It also borders the Republic of Azerbaijan in the north, as well as Russia across the Caspian Sea. The northern part of the province is part of territory of South (Iranian) Talysh. At the center of the province is the main city of Rasht. 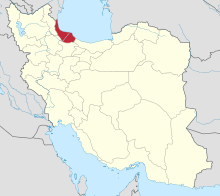 Other towns in the province include Astara, Astaneh-e Ashrafiyyeh, Fuman, Lahijan, Langrud, Masouleh, Manjil, Rudbar, Roudsar, Shaft, Talesh, and Soumahe Sara. The main harbor port is Bandar-e Anzali (previously Bandar-e Pahlavi). In antiquity, this area was a province of Persia known as Daylam (sometimes Daylaman, Dailam or Delam). The Daylam region corresponds to the modern region of Gīlān. It seems that the Gelae (Gilites) entered the region south of the Caspian coast and west of the Amardos River (later Safidrud) in the second or first century B.C.E. Pliny identifies them with the Cadusii who were living there previously. It is more likely that they were a separate people, had come from the region of Dagestan, and taken the place of the Kadusii. The fact that the native inhabitants of Gilan have originating roots in the Caucasus is supported by genetics and language, as Gilaks are genetically closer to ethnic peoples of the Caucasus (such as the Georgians) than they are towards other ethnic groups in Iran. Their languages shares certain typologic features with Caucasian languages. It was the place of origin of the Buyid dynasty. The people of the province had a prominent position during the Sassanid dynasty, so that their political power extended to Mesopotamia. The first recorded encounter between Gilanis and Deylamite warlords and invading Muslim Arab armies was at the Battle of Jalula in 637 AD. Deylamite commander Muta led an army of Gils, Deylamites, Persians and people of the Rey region. Muta was killed in the battle, and his defeated army managed to retreat in an orderly manner. However, this appears to have been a Pyrrhic victory for the Arabs, since they did not pursue their opponents. Unlike the Russians, Muslim Arabs never managed to conquer Gilan as they did with other provinces in Iran. Gilanis and Deylamites successfully repulsed all Arab attempts to occupy their land or to convert them to Islam. In fact, it was the Deylamites under the Buyid king Mu'izz al-Dawla who finally shifted the balance of power by conquering Baghdad in 945. Mu'izz al-Dawla, however, allowed the Abbasid caliphs to remain in comfortable, secluded captivity in their palaces. In the 9th and 10th centuries AD, Deylamites and later Gilanis gradually converted to Zaidite Shi'ism. Several Deylamite commanders and soldiers of fortune who were active in the military theaters of Iran and Mesopotamia were openly Zoroastrian (for example, Asfar Shiruyeh a warlord in central Iran, and Makan, son of Kaki, the warlord of Rey) or were suspected of harboring pro-Zoroastrian (for example Mardavij) sentiments. Muslim chronicles of Varangian (Rus, pre-Russian Norsemen) invasions of the littoral Caspian region in the 9th century record Deylamites as non-Muslim. These chronicles also show that the Deylamites were the only warriors in the Caspian region who could fight the fearsome Varangian vikings as equals. Deylamite infantrymen had a role very similar to the Swiss Reisläufer of the Late Middle Ages in Europe. Deylamite mercenaries served as far away as Egypt, Islamic Spain, and in the Khazar Kingdom. Buyids established the most successful of the Deylamite dynasties of Iran. In the 9th-11th century AD, there were repetitively military raids undertaken by the Rus' between 864 and 1041 on the Caspian Sea shores of Iran, Azerbaijan, and Dagestan as part of the Caspian expeditions of the Rus'. Initially, the Rus' appeared in Serkland in the 9th century traveling as merchants along the Volga trade route, selling furs, honey, and slaves. The first small-scale raids took place in the late 9th and early 10th century. The Rus' undertook the first large-scale expedition in 913; having arrived on 500 ships, they pillaged the westernmost parts of Gorgan as well as Gilan and Mazandaran, taking slaves and goods. The Turkish invasions of the 10th and 11th centuries CE, which saw the rise of Ghaznavid and Seljuq dynasties, put an end to Deylamite states in Iran. From the 11th century CE to the rise of Safavids, Gilan was ruled by local rulers who paid tribute to the dominant power south of the Alborz range but ruled independently. In 1307 the Ilkhan Öljeitü conquered the region after witnessing a Pyrrhic victory. This was the first time the region came under the rule of the Mongols after the Ilkhanid Mongols and their Georgian allies failed to do it in the late 1270s. After 1336, the region seems to be independent again. Before the introduction of silk production (date unknown, but definitely a pillar of the economy by the 15th century AD), Gilan was a poor province. There were no permanent trade routes linking Gilan to Persia. There was a small trade in smoked fish and wood products. It seems that the city of Qazvin was initially a fortress-town against marauding bands of Deylamites, another sign that the economy of the province did not produce enough on its own to support its population. This changed with the introduction of the silk worm in the late Middle Ages. Gilan recognized twice, for brief periods, the suzerainty of the Ottoman Empire without rendering tribute to the Sublime Porte, in 1534 and 1591. The Safavid emperor, Shah Abbas I ended the rule of Khan Ahmad Khan (the last semi-independent ruler of Gilan) and annexed the province directly to his empire. From this point onward, rulers of Gilan were appointed by the Persian Shah. In the Safavid era, Gilan was settled by large numbers of Georgians, Circassians, Armenians, and other peoples of the Caucasus whose descendants still live or linger across Gilan. Most of these Georgians and Circassians are assimilated into the mainstream Gilaks. The history of Georgian settlement is described by Iskandar Beg Munshi, the author of the 17th century Tarikh-e Alam-Ara-ye Abbasi, and the Circassian settlements by Pietro Della Valle, among other authors. The Safavid empire became weak towards the end of the 17th century CE. By the early 18th century, the once-mighty empire was in the grips of civil war and uprisings. The ambitious Peter I of Russia (Peter the Great) sent an force that captured Gilan and many of the Iranian territories in the North Caucasus, Transcaucasia, as well as other territories in northern mainland Iran, through the Russo-Persian War (1722-1723) and the resulting Treaty of Saint Petersburg (1723). Gilan and its capital of Rasht, which was conquered between late 1722 and late March 1723, stayed in Russian possession for about ten years. Qajars established a central government in Persia (Iran) in the late 18th century CE. They lost a series of wars to Russia (Russo-Persian Wars 1804-1813 and 1826–28), resulting in an enormous gain of influence by the Russian Empire in the Caspian region, which would last up to 1946. The Gilanian cities of Rasht and Anzali were all but occupied and settled by Russians and Russian forces. Most major cities in the region had Russian schools and significant traces of Russian culture can still be found today in Rasht. Russian class was mandatory in schools and the significant increase of Russian influence in the region lasted until 1946 and had a major impact on Iranian history, as it directly led to the Persian Constitutional Revolution. Gilan was a major producer of silk beginning in the 15th century CE. As a result, it was one of the wealthiest provinces in Iran. Safavid annexation in the 16th century was at least partially motivated by this revenue stream. The silk trade, though not the production, was a monopoly of the Crown and the single most important source of trade revenue for the imperial treasury. As early as the 16th century and until the mid 19th century, Gilan was the major exporter of silk in Asia. The Shah farmed out this trade to Greek and Armenian merchants and, in return, received a handsome portion of the proceeds. In the mid-19th century, a fatal epidemic among the silk worms paralyzed Gilan's economy, causing widespread economic distress. Gilan's budding industrialists and merchants were increasingly dissatisfied with the weak and ineffective rule of the Qajars. Re-orientation of Gilan's agriculture and industry from silk to production of rice and the introduction of tea plantations were a partial answer to the decline of silk in the province. After World War I, Gilan came to be ruled independently of the central government of Tehran and concern arose that the province might permanently separate. Before the war, Gilanis had played an important role in the Constitutional Revolution of Iran. Sepahdar-e Tonekaboni (Rashti) was a prominent figure in the early years of the revolution and was instrumental in defeating Mohammad Ali Shah Qajar. In the late 1910s, many Gilanis gathered under the leadership of Mirza Kuchik Khan, who became the most prominent revolutionary leader in northern Iran in this period. Khan's movement, known as the Jangal movement of Gilan, had sent an armed brigade to Tehran that helped depose the Qajar ruler Mohammad Ali Shah. However, the revolution did not progress the way the constitutionalists had strived for, and Iran came to face much internal unrest and foreign intervention, particularly from the British and Russian empires. During and several years after the Bolshevik Revolution, the region saw another massive influx of Russian settlers (the so-called White émigrées). Many of the descendants of these refugees are in the region. During the same period, Anzali served as the main trading port between Iran and Europe. The Jangalis are glorified in Iranian history and effectively secured Gilan and Mazandaran against foreign invasions. However, in 1920 British forces invaded Bandar-e Anzali, while being pursued by the Bolsheviks. In the midst of this conflict, the Jangalis entered into an alliance with the Bolsheviks against the British. This culminated in the establishment of the Persian Socialist Soviet Republic (commonly known as the Socialist Republic of Gilan), which lasted from June 1920 until September 1921. In February 1921 the Soviets withdrew their support for the Jangali government of Gilan and signed the Russo-Persian Treaty of Friendship (1921) with the central government of Tehran. The Jangalis continued to struggle against the central government until their final defeat in September 1921 when control of Gilan returned to Tehran. Gilan has a humid subtropical climate with by a large margin the heaviest rainfall in Iran: reaching as high as 1,900 millimetres (75 in) in the southwestern coast and generally around 1,400 millimetres (55 in). Rasht, the capital of the province, is known internationally as the "City of Silver Rains" and within Iran as the "City of Rain". Rainfall is heaviest between September and December because the onshore winds from the Siberian High are strongest, but it occurs throughout the year though least abundantly from April to July. Humidity is very high because of the marshy character of the coastal plains and can reach 90 percent in summer for wet bulb temperatures of over 26 °C (79 °F). The Alborz range provides further diversity to the land in addition to the Caspian coasts. The coastline is cooler and attracts large numbers of domestic and international tourists. 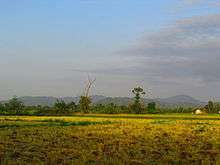 Large parts of the province are mountainous, green and forested. The coastal plain along the Caspian Sea is similar to that of Mazandaran and mainly used for rice paddies. Due to successive cultivation and selection of rice by farmers, several cultivars including Gerdeh, Hashemi, Hasani, and Gharib have been bred. In May 1990 large parts of the province were destroyed by a huge earthquake, in which about 45,000 people died. Abbas Kiarostami made his films Life, and Nothing More... and Through the Olive Trees based on this event. Gilan is overwhelmingly Gilaki, with a significant minority of Azerbaijanis and smaller groups of Georgians, Armenians, Circassians and others. Five Iranian languages are spoken in Gilan — Gilaki, Rudbari and Taleshi and to a smaller extent Tati and Kurdish. All belong to the northwestern branch of Iranian languages. Non-Iranian languages are mainly Azerbaijani and to a greater extent Georgian, Armenian, Circassian, and some Gypsy (Romany). Three million people speak Gilaki as first or second language. Gilan's position on the Tehran-Baku trade route has established the cities of Bandar-e Anzali and Rasht as ranking amongst the most important commercial centers in Iran. As a result, the merchant and middle classes comprise a significant percentage of the population. The province has an annual average of 2 million tourists, mostly domestic. Although Iran's Cultural Heritage Organization lists 211 sites of historical and cultural significance in the province, the main tourist attraction in Gilan is the small town of Masouleh in the hills southeast of Rasht. The town is built similar to the Pueblo settlements, with the roof of one house being the courtyard of the next house above. Gilan has a strong culinary tradition, from which several dishes have come to be adopted across Iran. This richness derives in part from the climate, which allows for a wide variety of fruit, vegetables and nuts to be grown in the province. Seafood is a particularly strong component of Gilani (and Mazandarani) cuisine. Sturgeon, often smoked or served as kebab, and caviar are delicacies along the whole Caspian littoral. Other types of fish such as mahi sefid, kuli, kulmeh, Caspian salmon, mahi kapur and many others are consumed. Fish roe, or ashpal, is widely used in Gileki cuisine. Traditional Persian stews such as ghalieh mahi (fish stew) and ghalieh maygu (shrimp stew) are featured and prepared in a uniquely Gilani fashion. More specific to Gilan are a distinctive walnut-paste and pomegranate-juice sauce, used as a marinade for 'sour' kebab (Kabab Torsh) and as the basis of Fesenjān, a rich stew of duck, chicken or lamb. Mirza ghasemi is an aubergine and egg dish with a smoky taste that is often served as a side dish or appetizer. Other such dishes include pickled garlic, olives with walnut paste, and smoked fish. The caviar and smoked fish from the region are widely prized and sought-after specialties in domestic and foreign gourmet markets. See also Cuisine of Iran. ↑ "Archived copy". Archived from the original on 3 December 2013. Retrieved 12 August 2013. ↑ "Concomitant Replacement of Language and mtDNA in South Caspian Populations of Iran". Retrieved 21 May 2014. ↑ "Archived copy". Archived from the original on 6 April 2012. Retrieved 23 November 2011. ↑ Pietro Della Valle, Viaggi, 3 vols. in 4 parts, Rome, 1658-63; tr. J. Pinkerton as Travels in Persia, London, 1811. ↑ "IRAN: Gilan". Retrieved 21 May 2014. Shapour Bahrami, Masouleh, Iran, Photo Set, flickr. Āhā Bugu (Oh, say it! ), a Gilaki folk-song: Video on YouTube (4 min 54 sec). A slide show of Gilan's Rural Heritage Museum with English subtitles, Jadid Online, 22 January 2009: (5 min 41 sec). Mohammad-Taqi Pourahmad Jacktaji, Gilan Midsummer Nowruz, in English, Jadid Online, 1 October 2009, (in Persian: ). An audio slideshow with English subtitles: (4 min 38 sec).